Growing up, I was always more a lover of fantasy than science-fiction. Although I liked science-fiction in theory, and wrote it, I never watched or read science-fiction movies or books (with the exception of a long Star Wars phase in my childhood). However, since Christopher and I have been married – almost two years now! – I’ve found my taste for the genre has grown. In fact, it’s probably my favorite genre these days! Christopher doesn’t like most fantasy, so his taste for science-fiction TV shows and movies nudged me in that direction, and now one of our favorite things to do is watch a good science-fiction series together. We don’t have cable, so we’re limited to what we can get online via Hulu, Syfy.com, or Netflix (which starts at $7.99 a month for instant streaming only – this is a great resource to see lots of movies and shows on the cheap). Our lack of cable hasn’t yet stopped us from finding plenty of great shows to follow! I should note briefly that these series are mainly targeted at adult viewers, not children, and any of them sometimes show content that is sexual or otherwise inappropriate in nature. Most also include science-fiction violence and some bad language. So please watch with wisdom and discernment! After encountering something they were not supposed to see, secret service agents Myka Bering and Pete Latimer are transferred to work at a giant warehouse in the middle of nowhere – a warehouse that houses a mammoth collection of mysterious and dangerous artifacts with special powers. This show has more of a magical feel than scientific, but the idea is that “magic is science we don’t understand yet”. Myka and Pete spend their days keeping tabs on the artifacts already in the Warehouse, and tracking down others all over the world that are causing trouble. 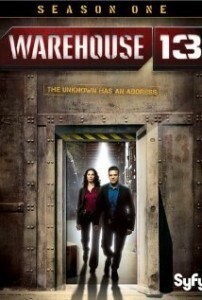 So far we have watched the first two seasons of Warehouse 13, and are waiting for the next one to come on Netflix with the others so we can continue following the show. It’s a good one to watch when you want something light and entertaining, not too serious, and if you enjoy the fantasy or paranormal genres as well as science-fiction. This show follows the adventures (and misadventures) of a U.S. Marshall, Jack Carter, who becomes the sheriff of an unusual small town – Eureka, where all the citizens are geniuses developing new technology for the government. Every scientific achievement of the past 30 years originated there, he finds, and every day of work he must fix hilarious problems and prevent new catastrophes. Most of the science is “Hollywood science”, as they say, but it makes for a rollicking good time, especially with the quirky cast of characters. This is another “light” show, but a bit more addicting than Warehouse 13, and some of the episodes are considerably more serious than others. As the image and quotes might suggest, this show has a bit less science – and a lot more EPIC! – than the previous two in my list. Doctor Who is the longest-running science-fiction TV series in history. (The Doctor is capable of regenerating into a new man instead of dying, so the story can continue almost indefinitely.) This is an unusual show, and it’s fairly safe to say that you will either adore it or hate it with a passion. I thought I hated it – Christopher used to watch it while I was making dinner, and I’d stand there chopping vegetables and listening to all the cheesy special effects, and the tinny robot voices, and the electronic main theme, and think to myself, “Ugh.” Then…along came the 11th incarnation of the Doctor (along with the better sound and special effects of the newer seasons). I started hovering by the television. Soon, I was sitting down to watch some of it. It only took a few episodes, and I was hooked. The Doctor, a Time Lord from the planet Gallifrey, spends his time traveling through all of time and space in a time machine disguised as a British police box. In almost every episode, he saves the world (or the universe! ), usually with the help of a human companion or two he’s picked up on the way. If that sounds boring, IT’S NOT. It’s amazing. But you really have to watch it to understand what makes it so awesome! Even people who don’t normally like science-fiction might find Doctor Who appealing, as it’s almost more fantasy than anything else. I must offer a disclaimer – I’ve only seen the newer series that have aired since the show was resurrected in 2005. 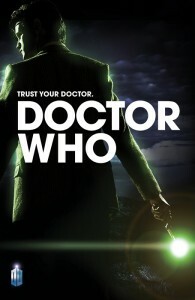 If you are completely unfamiliar with the Doctor (and especially if you are like me and hate cheesy special effects!) I’d personally recommend doing a little background research and then starting with the Eleventh Doctor, beginning at Series 5. (Alternately, you can start at Series 1 of the newer shows; many would recommend this instead.) Chances are, you’ll love what you see, and then you can go back and watch any older series you wish. All of the recent seasons are currently available on Netflix’s instant streaming, although I don’t know how long that will last. How do I describe this show? Sort of like Robin Hood meets the Old West meets space travel? Something like that. Firefly is a true Space Western, and it takes awhile to get used to the eclectic blend of bluegrass-style music and deep space escapades. The show’s title comes from the name of a space vessel, and the story follows her crew as they evade the totalitarian government, help the helpless, and make money any way they can – often by smuggling or other petty crime. In the beginning of the season they pick up a pair of passengers, who turn out to be fugitives on the run, and it makes their lives a lot more interesting and dangerous. The best thing about this show? The characters. The wonderful characters and their wonderful, hilarious banter. It has plenty of dark and gruesome moments, but it’s also laugh-out-loud funny! Tragically, the show was abruptly cancelled after just one season, but there is a follow-up movie, Serenity, which sort of ties together the story’s end, although the feel is a bit different than that of the show because it was targeted to movie audiences who hadn’t watched Firefly. Note: if you don’t want to deal with avoiding the sexual content in the show (as there is quite a bit, unfortunately) watching Serenity is a good way to encounter the story and characters without any scene-skipping. You can watch the full show and the movie on Netflix streaming. Of all the shows I am listing, this is probably the most “classic” science-fiction represented. Most descriptions of this show will say, simply, that it’s about a fleet of humans looking for a new world after cybernetic Cylons wipe out their home planet. Booooring! Fortunately, that’s not an entire description of the show. It’s also an amazing saga of courage, determination, hope, leadership, love, justice and mercy, obedience and disobedience, betrayal and loyalty, and real people making real, tough, life-or-death decisions every day, all across a background of distant space and barren planets. What I love most about this show is that the characters are all so human. They all have their good qualities and bad. Sometimes you root for them; sometimes you gape in astonishment at their actions. The story is fast-paced as well, especially the earlier seasons, and the makers are constantly throwing in new mysteries to keep the viewers hooked. As soon as one story starts to close up, another interesting one opens! I’d like to review this show in full someday, but it seems like a mammoth task, as there is so much to analyze: the characters, the religious aspect, the plot…it’d be a big task to take on! With this show, perhaps more than all the others, I have to warn that it is definitely an adult program, and there is a lot of brief sexual content (sometimes as often as every episode). As Christopher and I often mourn, this is the only big downside to an otherwise amazing story. We highly recommend it, but with a remote handy! This is a long-running but completed series, all of which is available on Netflix Instant. We have only 3 episodes left – the 3-part finale – and we are waiting very impatiently until Friday evening, when we can have a finale marathon. Eeek! We can’t wait! Have you watched any of these shows? Did you love them, hate them? Do you have any other favorite science-fiction TV series to recommend? I haven’t heard of Warehouse 13 or Eureka, but I have heard of/watched the others. Firefly and Battlestar Galactica I’ve watched bits of when it’s on tv, but not actually watched yet. Firefly has been deemed inappropriate for me to watch with my preteen sister (we watch most science fiction tv shows together. It’s fun. 🙂 ). Recommendations: Babylon 5. It’s really, really, good. At least in my opinion. 🙂 It’s very character driven, for the most part written well, and usually pretty clean. And the aliens are really good, when you find out more about them. It also was one of the first shows to use CGI extensively (it was made in the nineties). It ran for five seasons, though there are several movies, including the pilot, as well as books and so on. It also has a cancelled-after-the-first season spinoff, Crusade. 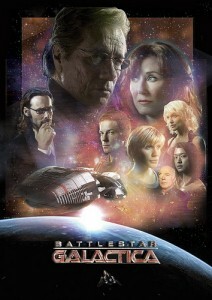 It’s *probably* the most like Battlestar Galactica, but I haven’t seen it so can’t judge. It’s extremely epic, though. But it’s not space opera-y like Star Wars and even Doctor Who. It used to be available through Netflix instant, but they cancelled it and have not brought it back to my knowledge. Through Hulu, there’s a site (www.thewb.com) to watch whole episodes free, though they only have the first season and five rotating episodes of the second, and the quality isn’t very good. Also, they’re missing an episode of the first season and do not have the episodes in order. I hear that Once Upon a Time is good, too, though I haven’t seen it. Same with Farscape (a science fiction show) Haven’t seen that one either. Hmm…a couple of the shows you recommend wouldn’t appeal to us very much, mainly because we can’t stand most aliens unless they’re small side characters like in Doctor Who, or the special effects or costumes are really good. 😀 Babylon 5 and FarScape both have a lot of aliens, even as main characters, and Christopher and I discovered we both dislike that. For me, I think it’s mostly because I have to be able to suspend my disbelief when I’m watching science-fiction. 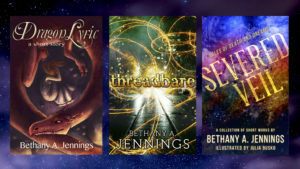 Fantasy can get a little less realistic without losing me, but aliens who are obviously humans in costumes or make-up really throw me off; they make it hard for me to get into the story since I can tell that it’s fake. I’m a stickler for good special effects, I guess, which is why I don’t dare watch the older Who seasons, and only like the new Star Trek movie, not the old show. We actually have Amazon Prime! We get it through Christopher’s grandfather, though (you can share the free shipping benefits with multiple family members) so we don’t have the free video feature, which is only for the original subscriber. Maybe someday we’ll subscribe to it ourselves, so we can get that benefit, since I do have a Kindle and I could use the rented books too. 🙂 We use Amazon CONSTANTLY so it would definitely be a good investment! 😀 Friends are telling me it gets better. I like it already, so I’m not too worried. Have you ever seen the Sarah Jane Adventures? (Doctor Who spinoff). Yes…I see what you’re saying. I suppose I really didn’t think about it because I enjoy the Babylon 5 aliens. The costumes do get better, and the five-ish main aliens species are very well thought through, which I enjoyed. Even the minor aliens are portrayed well, occasionally humorously (there are the carrion eaters, the ones that split into halves every five years and find a leader based on scarf colors…) They were just alien enough to be aliens, but so human they were hard to think of as aliens in a way. The effects were good for the time, if not so much now. Some of the fourth season CGI still blows me away. I think most of what I love about it is the depth of characterization and the fact that it is told as five year story from the beginning. 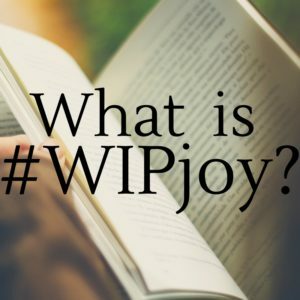 The story is very layered, as well (very much as you describe Battlestar Galactica), and there are a lot of hard choices for the characters (I’m not sure why I like those so much… 😀 ). 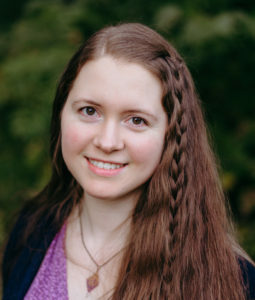 I think it was my first experience with grey characters, too, at least portrayed so well–they are flawed, sometimes a lot, but they have the goodness of a God-creation. Oh, and it was the first show to make me cry…Through it I started writing seriously and was introduced to science fiction. Reading back through, it sounds like a commercial testimonial or something. Really, I’m not obsessed. 😀 I just enjoy it and like other people to enjoy the same things so we can enjoy them together. Yes, more dinosaurs would have been cool. I was enjoying what we got–pictures of how life was on a colony in the past. The pace did seem to pick up toward the finale, and the set up for the next season was intriguing, with the boat. I wish there had been at least one more season, because I hope they would have straightened things out and it would have gotten good. It seems almost like it was trying to cater to too many people, instead of a specific niche. 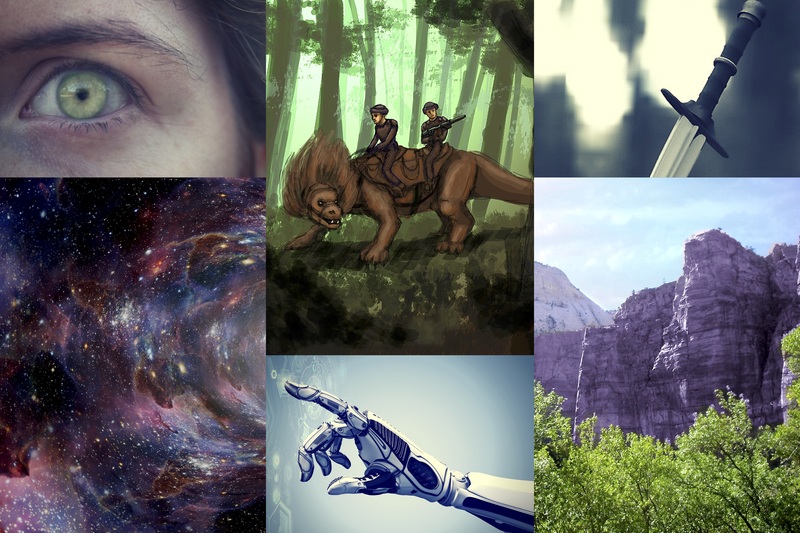 Dinosaurs AND dystopias AND frontier life AND military AND romance…not that they couldn’t be combined, but there seemed to be too much skipping around and no focus. Yes…they give you a free one month trial, that could be helpful for a show or book at some point. No, I don’t think either of us have watched the Sarah Jane Adventures. Christopher has watched Torchwood, though, another spinoff (which I wouldn’t recommend – it’s gritty and depressing, and sometimes inappropriate). Regarding Terra Nova – Yes, that is a lot of topics to squeeze into one show! Wow. It seems to have swallowed my rather long comment. Is there anything you can do from your end to fix that? I did put in a link; I don’t know if that makes it think I’m spam or something. Thank you! It should be all right if I don’t use a link, correct? As far as shows I’d recommend, my biggest suggestion would be Once Upon a Time. It falls into the fantasy category, not science fiction, but it’s so fun to see new twists on old fairy tales. Doctor Who is the best! (I just decided this after finishing the post…I would put the final three in basically reverse order from how I listed them. I think DW is my favorite.) What are your other favorites? In addition to science-fiction shows, we tend to watch a lot of “investigation”-type dramas with an element of comedy, like “Monk”, “Psych”, and “White Collar”. We also watched “Flash Forward”, which was a really cool science-fiction show – up until the LAME ending! What about Lost? I haven’t watched it, but I hear it’s really good. Bethany, I enjoyed this. We watched the entire first season of Battlestar, found it engrossing but unnerving. We were SeaQuest and Star Gate fans (that really dates us). This was fun. Since we’re on limited cable, we’ll have to check out Netflix and Syfy.com. Thank you for the lead to watching some things at the latter! I’m glad to recommend some shows I enjoy, Maria! Why did you find Battlestar unnerving, out of curiosity? Was it the tension of the show (that first season is SO intense), or the content, or perhaps the violence? Star Gate…hehe. We did try Star Gate, and found it “palatable”, but after multiple episodes I started feeling like every episode had the same story, just told in a different world. Maybe we just didn’t watch it long enough to get to the good stuff, but we gave up on it awhile back. New show recommendation, everyone!! “Heroes”. 😀 It’s a science-fiction show about emerging superheroes, and so far it’s super good (oops…haha…pun not intended!). There are 4 seasons, it’s completed, and it’s all on Netflix and available for streaming. We’ve gotten through most of the first season so far and it’s riveting! There is less objectionable content than some of the other science-fiction shows, too, which is lovely.